Get the fashion forward look you are after with the Rockport Kalila mid-heel pump. 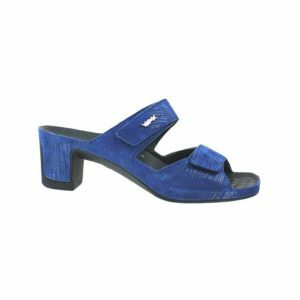 Jazz up your Spring shoe collection with the lively Total Motion Rockport Kalila Black Calf. This mid-heel pump is crafted from soft, full grain leather and finished off with a foam-backed lining to give it a truly glove-like fit. The combination of the polyurethane midsole and outsole create the perfect foundation of stability and support and the retention foam foot bed keeps the foot cushioned and comfortable. These pointy toe dress shoes will make it easy for you to express your personality and suit your lifestyle. Add a pair or two of these head-turning pumps to your collection, and never look back. Slide into ultimate relaxation and all-day comfort with the Vital Joy sandal.